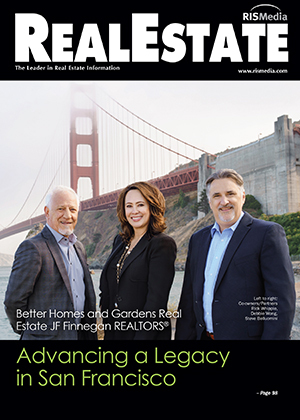 Debbie Wong, Rick Whipple and Steve Belluomini all followed different paths in real estate, but landed at the same destination: Better Homes and Gardens Real Estate JF Finnegan REALTORS®. After developing rich careers at the brokerage as sales associates and then managers, the trio became owners when founder John Finnegan retired three years ago. 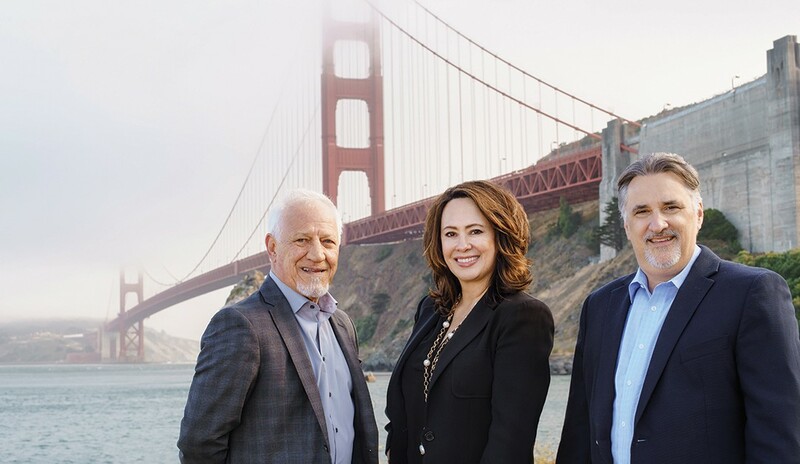 In that short time, they’ve expanded the firm’s reach to cover the entire San Francisco Peninsula, all while staying loyal to its family-oriented culture of caring and support. In this interview, Wong, Whipple and Belluomini share their insights into what’s made the company such a longstanding success, and how they intend to keep the momentum going. Maria Patterson: Tell us a bit about the firm’s history and where it stands today. Debbie Wong: John Finnegan founded the firm in 1973. He started in Daly City and built a thriving business in Northern San Mateo County that trickled down into Burlingame and San Mateo. He had three offices when he retired and offered Rick, Steve and I the opportunity to purchase the company. At the same time, there was another Better Homes and Gardens broker retiring in San Francisco and San Jose, so we also picked up those two regions. With seven offices total, we now cover the entire San Francisco Peninsula, from San Francisco south to San Jose and Campbell. 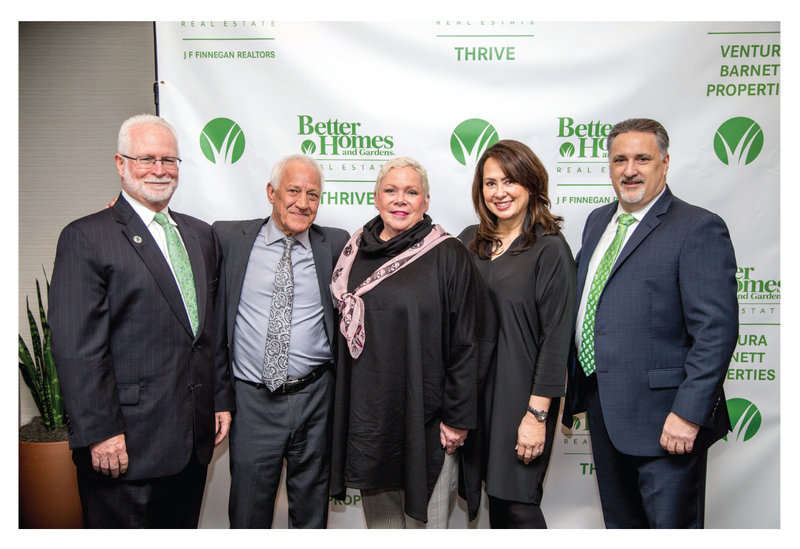 We’re running at about 400-plus agents, and we’re the seventh-largest member of the Better Homes and Gardens Real Estate family. MP: What is your personal history with the firm? Rick Whipple: Before real estate sales, I was in general contracting, and that’s how I met John Finnegan. In 1982, I developed 25 units in Daly City, and I hired John’s firm to market them. After working together, he talked me into joining his brokerage in 1985. My successful career in real estate was founded on the mentoring, coaching and friendship he provided. I’ve been learning from him ever since. By 1998, he had branched out to San Mateo, and he approached me to manage the Daly City office. Three years ago, he approached Steve, Debbie and me with an offer for us to purchase the company. Steve Belluomini: I started back in 1998. I was an agent with John Finnegan, and four years later, he made me the manager of the San Mateo branch, and I grew it into one of the top offices in the market. I started with 25 agents and recruited it to 125 agents at the peak in 2015. DW: I’ve been with the firm for 28 years. Rick actually sold me my first house and was instrumental in hiring me. It’s unusual for a real estate business to have the sincere family connection that we all feel. DW: What kept me with the firm is that John always instilled a family style of running the business. He truly was a master of building and retaining great rapport. We have several associates who have been with us for five, seven, 15 or 20 years. Sometimes they might leave for a shinier penny or think the grass is greener somewhere else, but we’ve seen them come back time and time again. In my mind, we have a unique environment. We provide a lot of caring support, and that keeps people with us. RW: I agree. It’s our culture—the family atmosphere, the environment of learning. We’re always growing. There are agents still here in our organization that started not much later than I did, so we must be doing something good. MP: How does that culture impact your leadership philosophy? SB: My philosophy is that leaders create leaders. We give the staff ownership of their job description; we don’t micromanage. With agents, it’s about creating an environment where they feel safe and not judged if they do three transactions instead of 20. We want everyone to do as much as they can—and that’s up to the agent. We help them develop a business plan and then they meet with us on a quarterly basis and we talk about how we can support them. RW: My leadership philosophy is not to give the impression that I know everything…because I don’t. I do have the resources and the systems in place so that I can find the answer. Our culture is such that we’re constantly learning. We definitely have the training, but at the same time, we have an environment of accountability. You have to be action-oriented and stay focused, then the results will come. 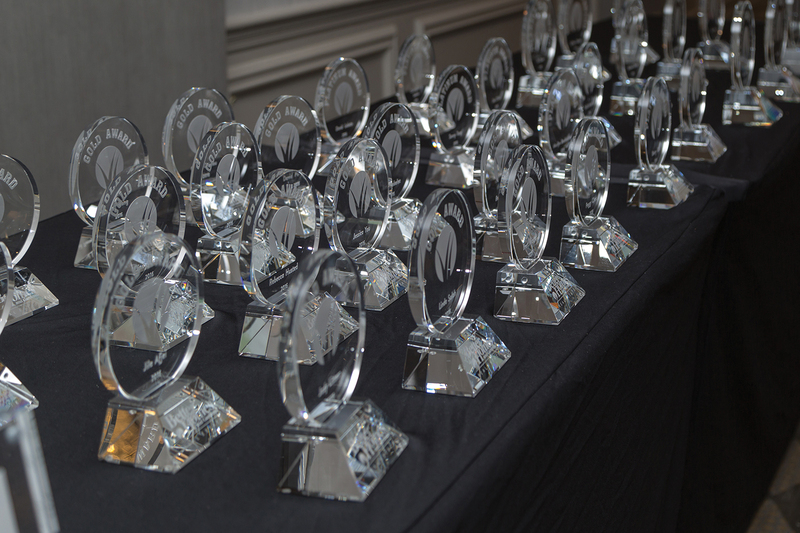 Better Homes and Gardens Real Estate JF Finnegan REALTORS® has the highest number of award winners in the network. DW: You’d be hard-pressed to find a leadership team that cares as much as we do. We’ve seen a lot of other business models out there; however, I don’t know of anyone who has the type of boots-on-the-ground experience that we have, and the amount of care and encouragement we provide our agents. There’s no other place like it. DW: In terms of growth, we have the dream territory. Now it’s just a matter of growing the agent population organically. We’re not opposed to doing roll-ins if the right opportunity arises, but it’s more about organic growth; we look for talent and show them how their work ethic aligns with ours. Other companies might pay agents an incentive to join them, but we don’t have to do that. We’re really thoughtful about the way we’re growing, and there’s something to be said for that. MP: How would you describe the current state of your markets? What are the greatest challenges and opportunities? DW: Our average sales price is between $1.5 and $1.8 million. Every property is a million-dollar property. Inventory is so tight that everything sells. It’s one of the greatest markets ever, and we just happen to be in the thick of it. SB: But with the inventory challenge and multiple offers, agents are getting frustrated. They’re writing 4-5 offers a week and not getting them ratified because there’s so much competition. RW: Price point is definitely a challenge. We have a robust economy in the San Francisco Bay Area. You really have to educate the buyer because rents aren’t cheap either. Real estate is the ideal investment, but you have to show them in detail, because the average consumer is just looking at the monthly payment. DW: That’s right—and to do that, we educate our agents on how to support buyers on attaining the dream of homeownership. They may not be able to afford X, so we have to help them think outside the box. Our agents have to explain the steps buyers can take to get to the end game or the dream. Sometimes you can’t jump immediately into the house. MP: What differentiates your firm from the competition? SB: It comes down to always putting the agent first, making sure we have the technology and the training to help them meet their expectations and compete out there. All the agents in the company have access to myself, Rick and Debbie. We’re not hiding behind a corporate wall. RW: We’re known in the market as a very good training organization. We train our agents to have the systems and resources in place to grow their business. We grow our agents so that they’re equipped to handle the real estate process in the best way possible. We want to make sure every buyer and seller that works with us has the opportunity to work with a highly trained, skilled and supported agent. We want to ensure our customers have a terrific home-buying or -selling experience. Essentially, we’re transforming the lives of our customers for generations, through the power of homeownership. DW: We’re a unique lifestyle brand that’s relevant 365 days a year. We’re highly consumer-facing. All of our marketing efforts through social media and our branding is exactly what sets us apart. Very early on, Sherry Chris (president and CEO of Better Homes and Gardens Real Estate) brought to the forefront that millennials are the next wave of customers. We know this generation wants to be homeowners, and we understand them and the kind of experience they want to have. We also believe strongly in giving back to our community. We don’t want to be defined strictly by how many homes we list or sell. Over the past 20-plus years, our agents have contributed thousands of dollars and volunteered hundreds of hours to a host of local charities like Adopt an Angel, Samaritan House and Habitat for Humanity, in addition to supporting global relief efforts through national trade organizations like AREAA, the Asian Real Estate Association of America. More recently, through New Story, our company has been involved in building homes for poverty-stricken families in El Salvador. MP: What draws agents to your firm, and why do they stay? DW: We’re very much in tune with what people want to create for themselves. We offer very personalized services to help our agents achieve their goals. We help them create a business plan that will work for them and their lifestyle. I’ve had four Rookies of the Year out of my branch and a Young National Entrepreneur of the Year last year. We know how to get people up and running quickly in a way that’s meaningful for them. We’re attracting millennials because our culture is exactly what they’re seeking. SB: We’ve had agents go to competitors out there that might be cheaper or offer better commission splits, but they come back to us. It really comes down to the relationship we can establish with agents to make them feel that we’re there to help them succeed. MP: How do you stay ahead of the curve on technology and marketing? RW: We package all the agent services into one platform where they have everything they need right there. At many other brokerages, agents have to subcontract out for their resources. With us, it’s all in one platform, in part because of the extensive Better Homes and Gardens operating system provided to all of our agents. DW: We’ve adopted a digital platform provided by our Zap Labs® technology group, which is very robust and features predictive analytics that savvy agents demand. Also, people talk a lot about data these days, and, in most cases, its purchased data. However, our partner Meredith Corporation® just purchased Time Magazine (at press time), so we’re immediately at the forefront when it comes to data. We don’t pay to buy data; we own the data and have access to over 200 million consumers who are customers of the Meredith family and predisposed to work with our offices. Better Homes and Gardens Real Estate has its finger on the pulse of social media. Our agents can refer to the Greenhouse, which has 1,000-plus items they can choose from to post. There’s also an image library that’s licensed by Meredith, with thousands of photos they can use to create standout digital and print marketing. That’s a big differential for our agents. MP: Lastly, what are your plans for the company’s next chapter? SB: Short term, our plan is to continue to grow the offices organically. We’d like to focus on newer agents, bring them in, coach them and lead them in the right way to do business. Long term, we’re always looking for opportunities to continue to grow. Our five-year goal is to get to 1,000 agents. This market is challenging. If we take care of the day-to-day and make sure agents are cared for and supported, I believe we’ll come out on the other end in a very good position. There will be some opportunities to grow at a faster pace. We’re also fortunate that our franchisor is willing to partner with us to acquire other firms who are seeking an exit strategy. For more information, please visit www.gobhg.com.